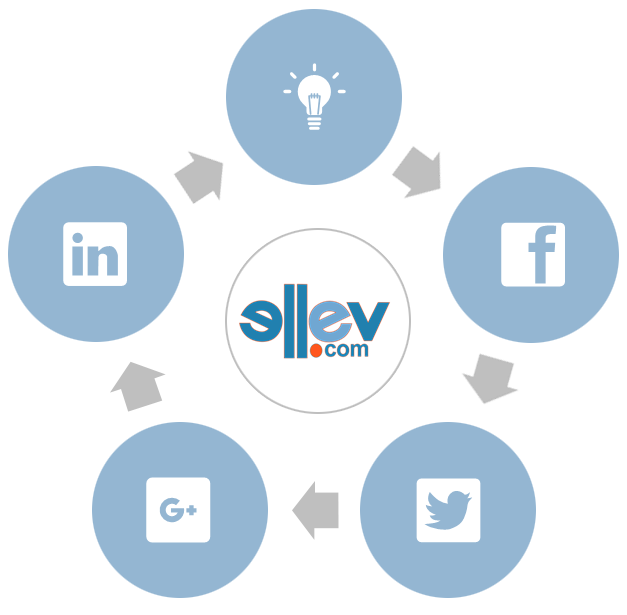 Social Media Management - Ellev - The Best Full-Service, Award-Winning Ad Agency in the Carolinas! Our affordable, effective, and award-winning social media management and marketing focus on building your audience and increasing brand excitement and awareness via social sharing and viral marketing. The goal of our social media management services is to develop and build brand awareness, drive website traffic and generate leads for your business. Our social media specialists research your business and your competitors to understand your target online audience. This is how we ensure that the correct, premium content is shared on the right social channels to maximize your ROI and increase your digital footprint. We create, manage, and monitor all of your business’ social media postings in order to channel growth and customer interaction with optimized, multi-media content that will increase brand excitement and exposure, ensure social sharing as well as viral marketing which in turn delivers new fan recruitment of your brand. We take social media to another level with our full-service social media management services and expertise in brand storytelling and content marketing, and build custom social marketing strategies for clients big and small! Our award-winning social media management services are both affordable & effective. Contact us today at (843) 902-7107 or email us at info@ellev.com to maximize your social media exposure and output! Facebook – Twitter – LinkedIn – Instagram – Google+ – Pintrest – And More! Active fan recruiting – Increase user engagement – Message and reputation monitoring – and more! Consistent and strategic use of hashtags to increase your online presence and social search visibility. We have plans for businesses large and small with posts ranging from one per day to multiple posts per day on multiple social media accounts. Unique content, specifically created for your business with articles and images which are carefully crafted to interest your target audience. All This, And Much More! Along with all these services, we offer friendly, professional support via phone, email, and text, as well as in-person consultations.